This extremely spacious master bedroom is located exclusively on the top floor of the villa. A large staircase off the entryway leads you up to your sanctuary. 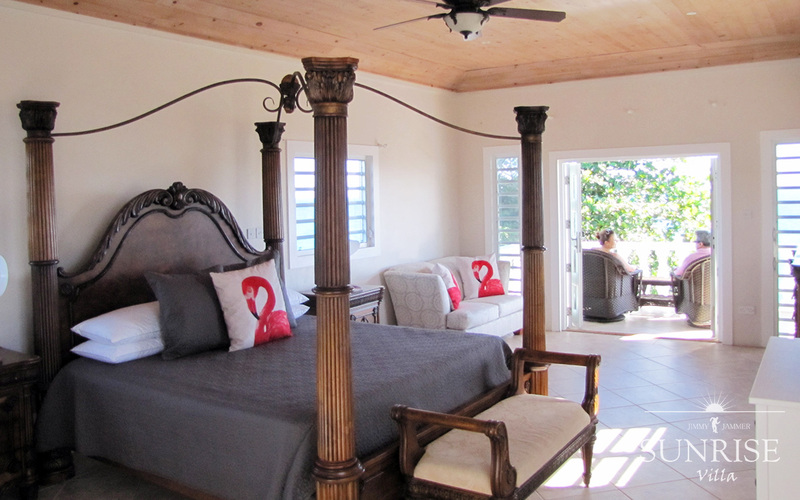 This room boasts a four poster King size bed, a large ensuite bathroom and a lovely private veranda overlooking the sea. With the comfortable seating area outside it is the perfect place to sit, relax and enjoy the view.